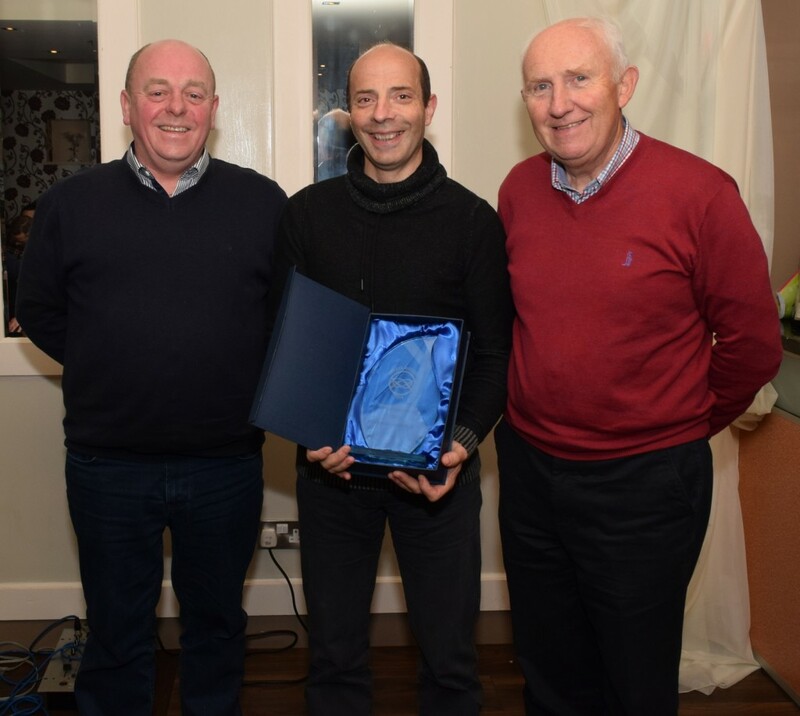 Club Secretary Paul Lonergan with Declan Hanrahan, Senior sorts star of the year, with Billy Kennedy, club vice president, Olympic council of Ireland. 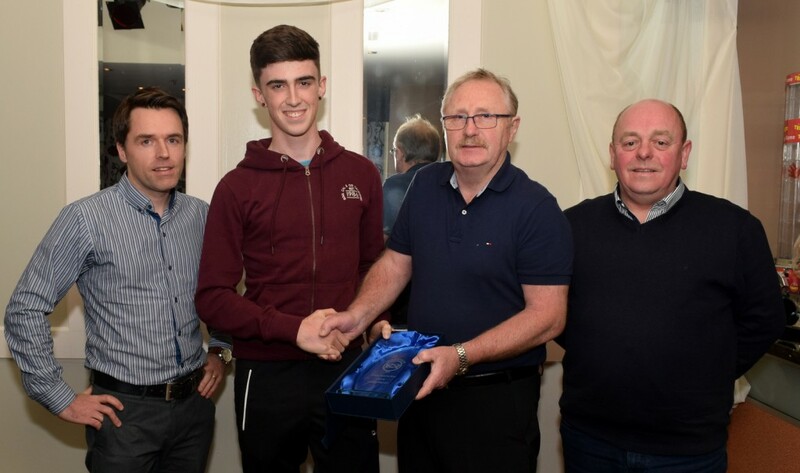 Youth sports star of the year award went to Cathal Purcell who is pictured with L-R Chairman John Dempsey, Bobby Sheehan and Paul Lonergan. 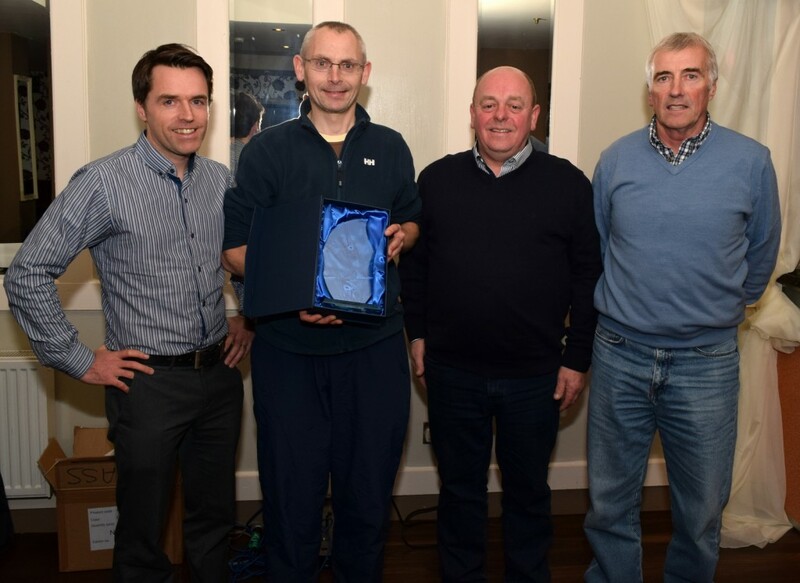 The club man of the year award went to Rory Wyley, vice club chairman and past president cycling Ireland, pictured with club chairman John Dempsey, Paul Lonergan, secretary, Larry Power Treasurer. 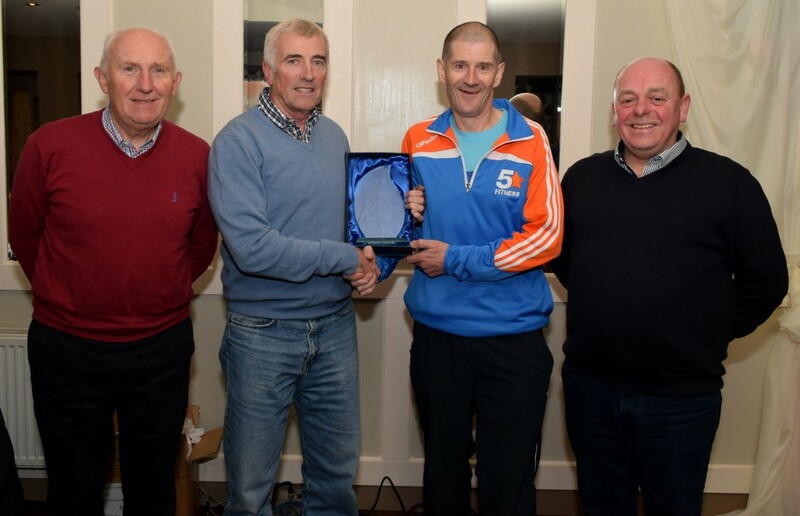 The Merit award for 2015 went to John O’Donnell, the award was accepted by his brother Leslie O’ Donnell. L-R Billy Kennedy, club vice president, Olympic council of Ireland ,Larry Power, Treasurer, Leslie O’Donnell & Paul Lonergan, club secretary. 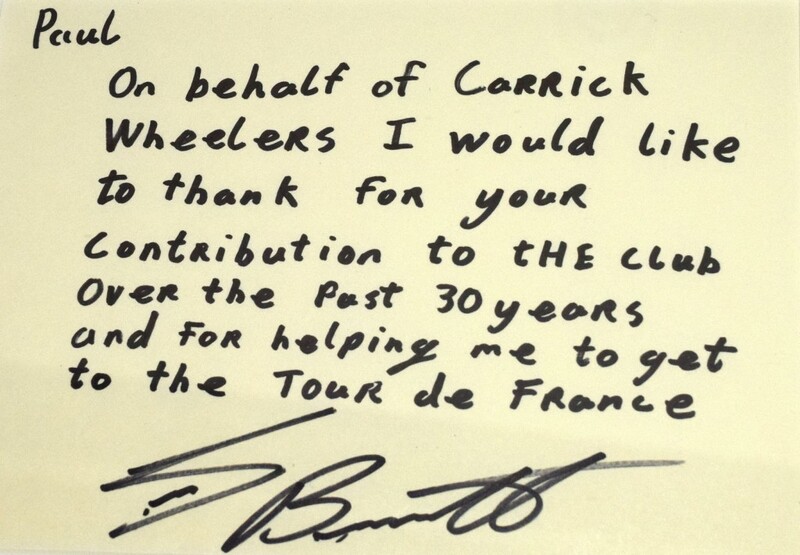 John Dempsey, chairman of Carrick Wheelers C.C. 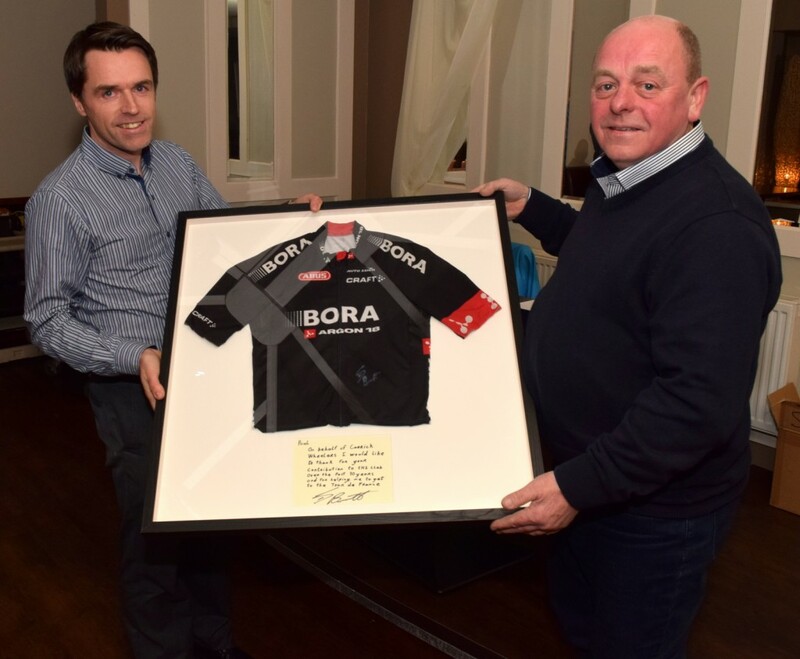 Presenting a Team Bora jersey from Sam Bennett’s team to Paul Lonergan who has served 30 years as secretary of the club. The message from Sam which is inserted in the framed jersey. Members of Carrick WC.C. 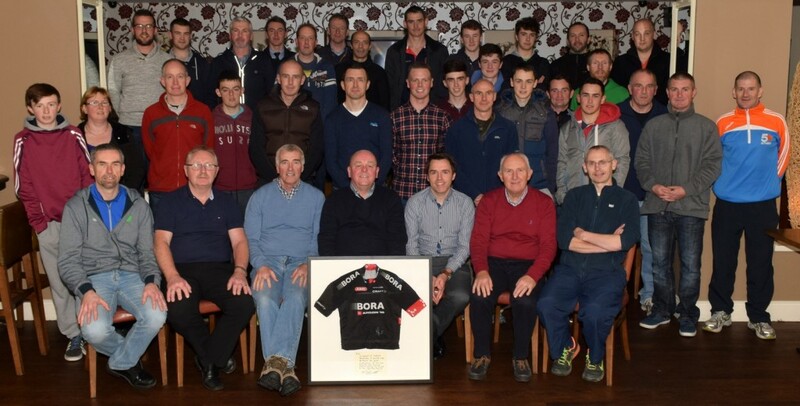 pictured at the recent A.G.M. in O’ Ceallaghans, Carrick on Suir.